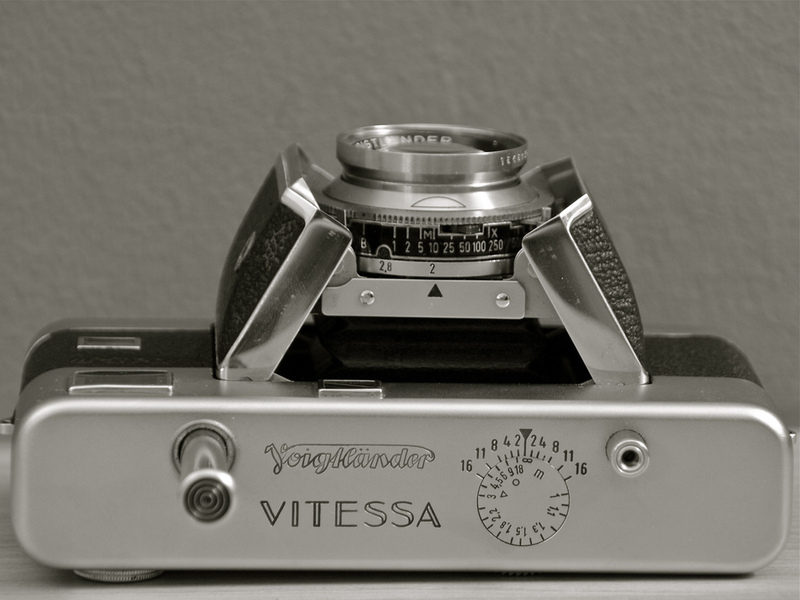 The Vitessa was made by Voigtlander in the 1950s. In this model, he usual folding bed was replaced by a barn-door assembly. The most expensive models came with a 50mm f/2 Ultron lens, other versions included a 50mm f/3.5 or f/2.8 Color-Skopar.